Flora Doodles Velvet Hydrangeas 1" To 1.5" 22/Pkg - PETALOO-Flora Doodles Velvet Hydrangeas. These are colorful and great pieces to add to cards, scrapbooking projects and any other project that could use a flower. 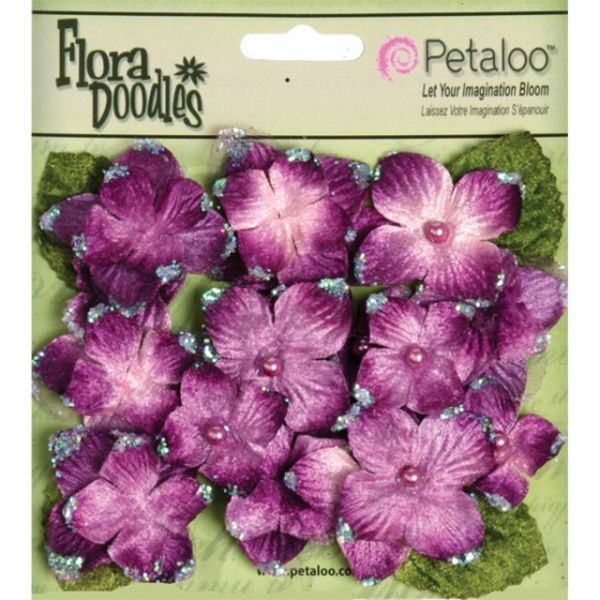 This 4x4-1/2 inch package contains twenty-two flower pieces. Available in a variety of colors, each sold separately. Imported.